In yet another example illustrating the waste of taxpayer funds in Afghanistan, the US plans to go ahead with the delivery of 159 expensive Black Hawk helicopters — even though there may not be enough pilots to fly them or ground crews to maintain them. This latest fiasco in America’s longest war — now perhaps drawing toward a close — is revealed in a new report by the Special Inspector General for Afghanistan Reconstruction (SIGAR). 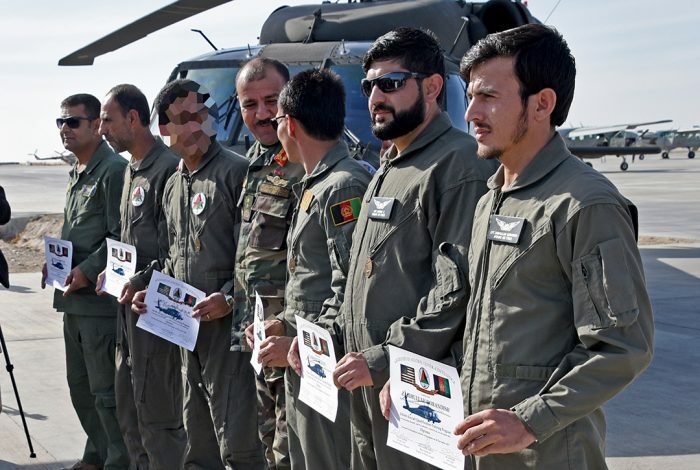 According to John Sopko, head of the SIGAR mission, the Combined Security Transition Command-Afghanistan has reduced the number of pilots it plans to train to fly UH-60 Black Hawks, from 477 to 320, and still may not meet its target in time. “SIGAR found that based on the current UH-60 delivery schedule, it is unlikely that there will be enough pilots trained before all the UH-60s are delivered,” Sopko wrote in the report, citing a Department of Defense estimate that the training program’s efficiency is less than 50 percent of what was planned. “As a result, [the Department of Defense] runs the risk that the aircraft it delivers will sit idle in Afghanistan without enough pilots to fly them,” he added. To make matters worse, the Black Hawks turn out to be inferior to the Russian-built Mi-17s, which are currently the workhorse of the Afghan air force. The Russian helicopter “can fly higher and carry more passengers,” the report acknowledges — both key advantages in the mountainous terrain where the Afghan Taliban have built their main bases. The Islamic State, for example, received much of its sophisticated weaponry from the American-supplied Iraqi army after routing the latter in Mosul in 2014. There is little to prevent the Taliban, which shares much of its core ideology with the Islamic State and has been the main US enemy in Afghanistan since 2001, from doing the same. The SIGAR report came out just as the US is reportedly preparing to halve its forces in Afghanistan in the next few months, leaving only 7,000 personnel on the ground — a far cry from the 2010 peak of 150,000 NATO troops. Two rounds of peace talks have recently taken place, the first one between US officials and Taliban in Qatar late last month and the second between Taliban officials and Afghan opposition politicians in Moscow last week. An “agreement in principle” with the Taliban has been reached on key issues including counter-terrorism and US troop withdrawal, Special Representative for Afghanistan Reconciliation Ambassador Zalmay Khalilzad told a United States Institute of Peace (USIP) public event on February 8. Experts say, however, that a Taliban refusal to negotiate with the Afghan government suggests that the hardline group is more interested in dividing its enemies than in genuinely striving for peace. Six UH-60L Black Hawks and two CH-47F Chinooks in Afghanistan, 2013. The SIGAR report, meanwhile, highlights the latest in a long streak of policy missteps over the past 17 years of US attempts to stabilize the war-torn country. The roots of the debacle, which WhoWhatWhy has documented in detail over the years, go even farther back in time: the hundreds of billions of dollars spent by successive administrations since the George W. Bush era have gone to counter America’s one-time ally against the Soviet Union, which later became Al Qaeda’s closest ally and the first target of the post–9/11 War on Terror. The many shortfalls of the US program to train and equip local Afghan forces could delay or derail the planned US withdrawal, for example by tempting the Taliban to try to recapture the country. A deal is far from certain, US officials acknowledge. “Nothing is agreed to until everything is agreed to,” Khalilzad added at the USIP event. 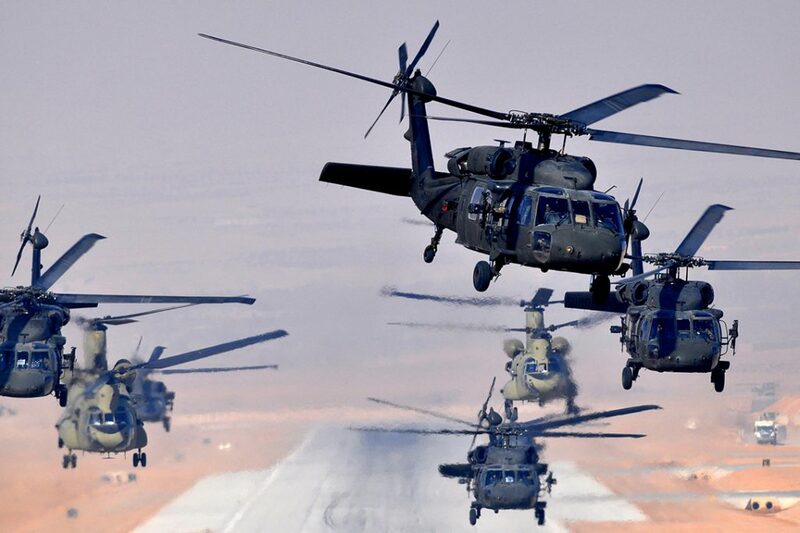 Related front page panorama photo credit: Adapted by WhoWhatWhy from UH-60 Blackhawk helicopters (US Air Force).